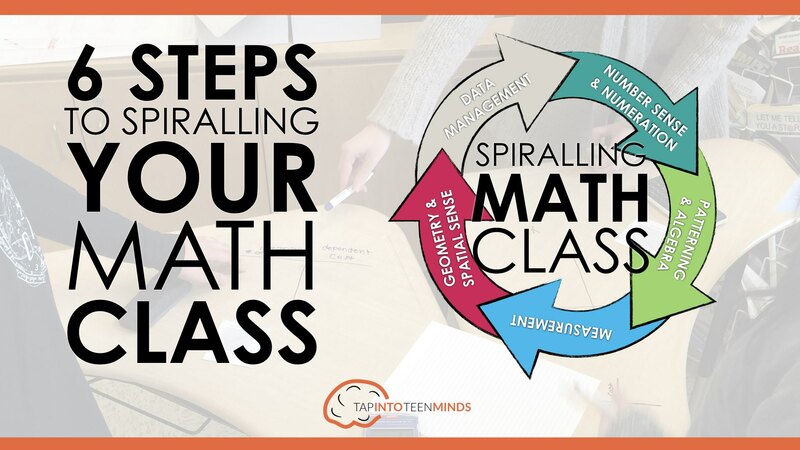 Do you want to try to spiral your math curriculum? Last week I pointed out that @mathletepearce had started to create a video series to get you started. Then there was only one, now there are three in the series plus an entire detailed website. It truly is a comprehensive munch of info. Some more resources from OAME 2018 This first one is from @MarkChubb3 and @MrBinfield on the art of Noticing and Wondering for Assessment. You can see the detailed descriptions of all of their slides a this link. I also had dinner with both @MarkChubb3 and @MrBinField and one of the things we talked about was Voronoi Diagrams and was surprised to see I had missed Mark's post on them from last December. 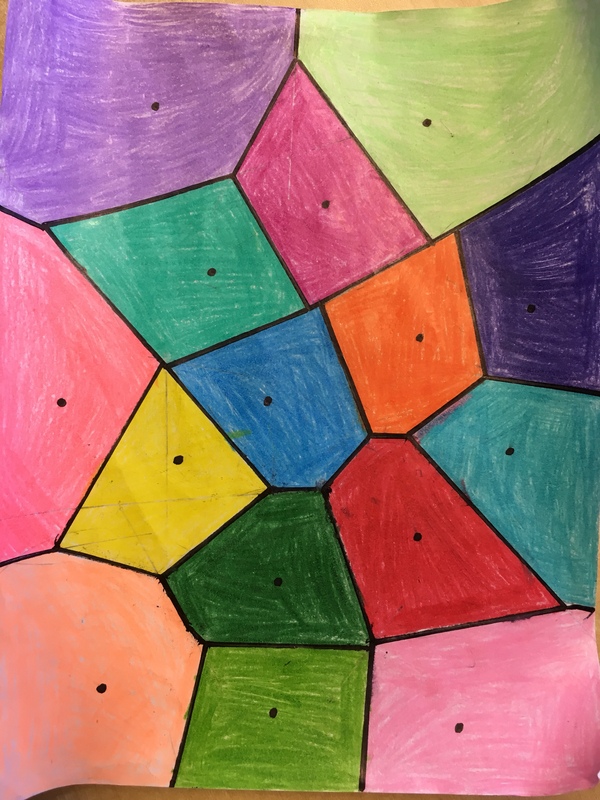 But I love the connection to perpendicular bisectors and art and the real world application of finding optimal boundaries. 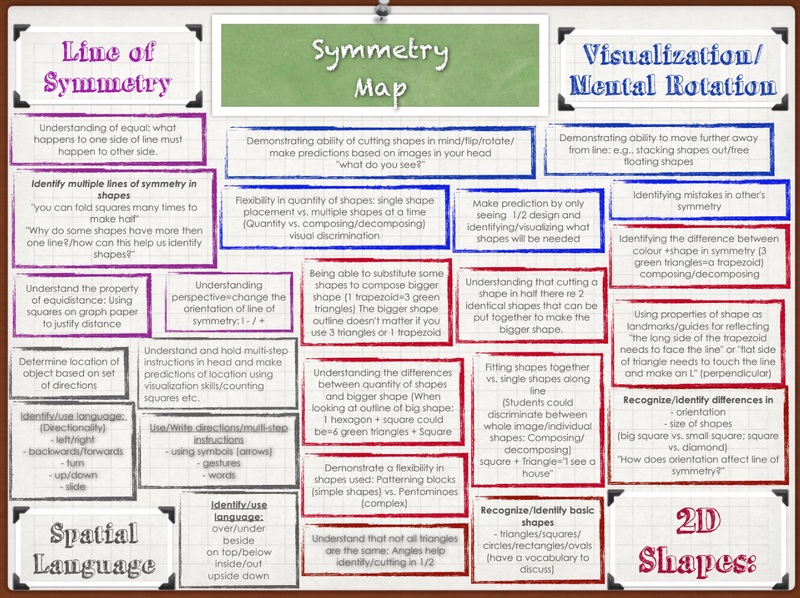 I like it so much that I created a Desmos Geometry sketch of a dynamic version of them here. 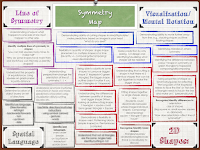 Another session from last weeks OAME 2018 was from @NatBanting on Teaching Math with Open Tasks. Some well research reasoning and some ideas on how you can take traditional ideas and open them up. And then to take it a step further, @MaryBourassa took the info in his session and started to apply it to her Calculus and Vectors course. That is what I call an efficient use of info found when attending a conference. Though I don't usually dip down into Kindergarten on this blog, I think that we could learn a lot about the push towards play based learning taken up there. This session from last week's OAME 2018 from @RooSloan, @maggiefay_ and @ElishaMalyk on Planning for Purposeful Play in Early Years Math including info on coding in FDK. Check out their site (below) and their entire Google Drive. 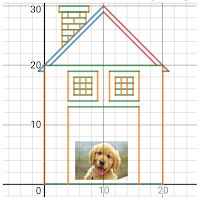 In other Interweb goings on, @mathycathy released her Pet House: A Linear Project!. 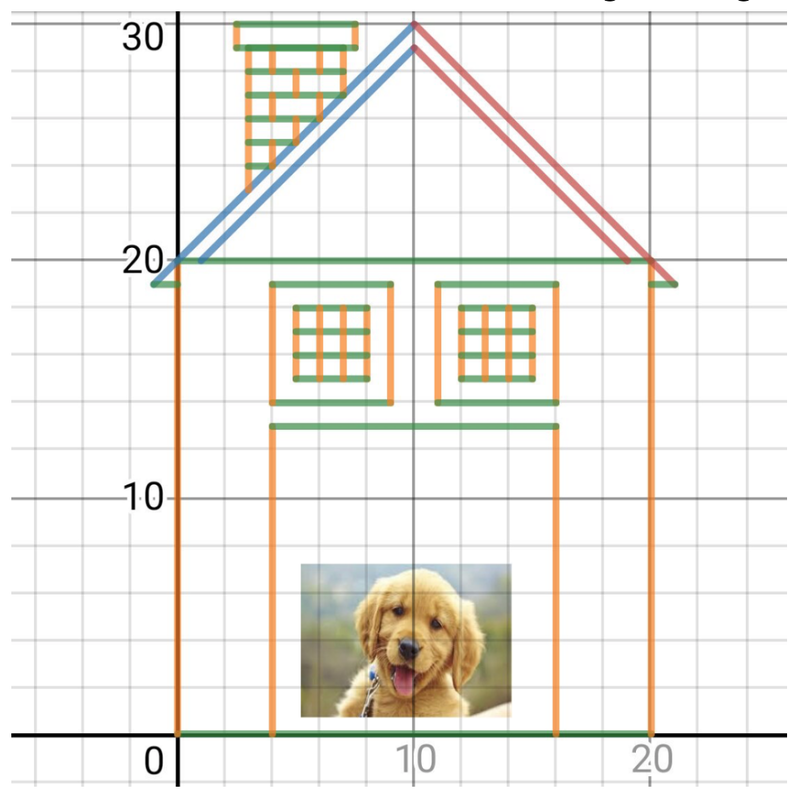 I'm happy to say I had a small hand in helping out with this @Desmos activity and it's a great way to have kids draw their Desmos images using only linear functions. She includes a rubric and instructions to make it easier on you when you assign it. 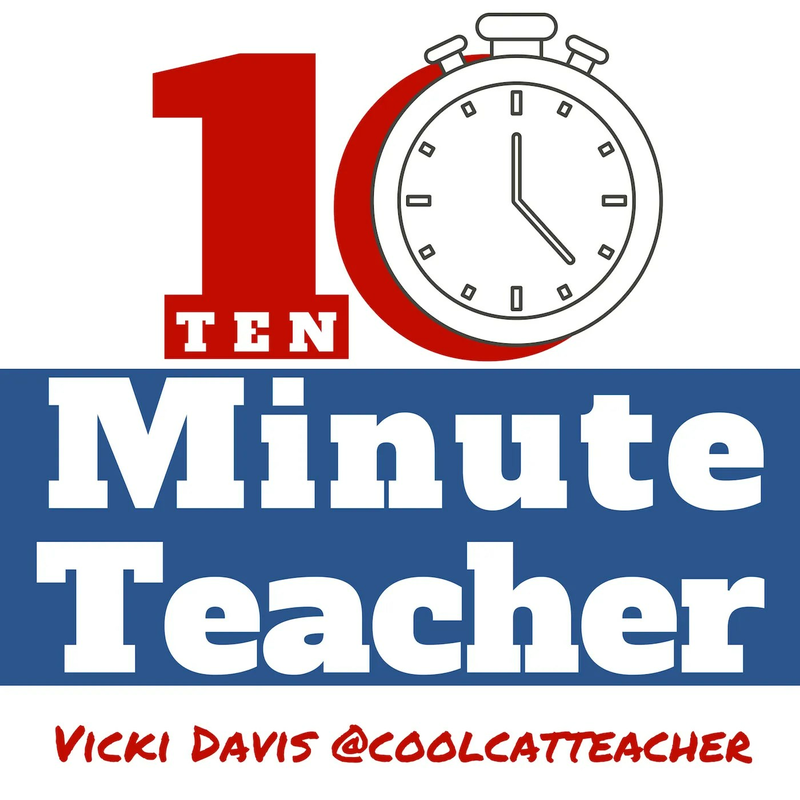 A few weeks ago I was on the 10-Minute Teacher podcast and although this isn't a math podcast, there are math based episodes. 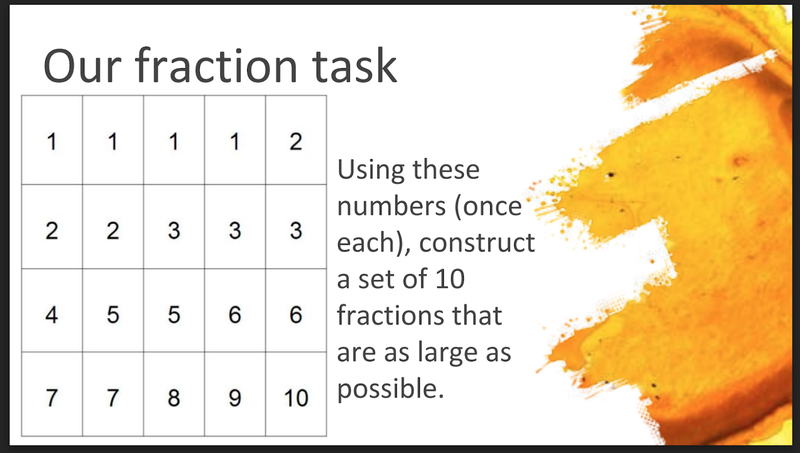 Recently two came up, one from @mathletepearce on making things visible and one from @MathDenisNJ on optimal ways to teach math. 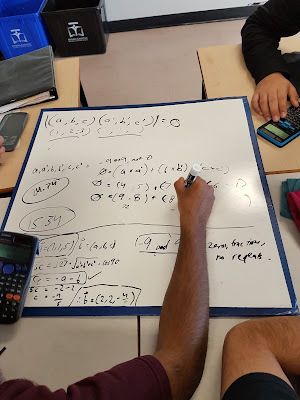 Check out those episodes and all the rest of my math podcast links on my page of podcasts. Want to give some challenges to your students? 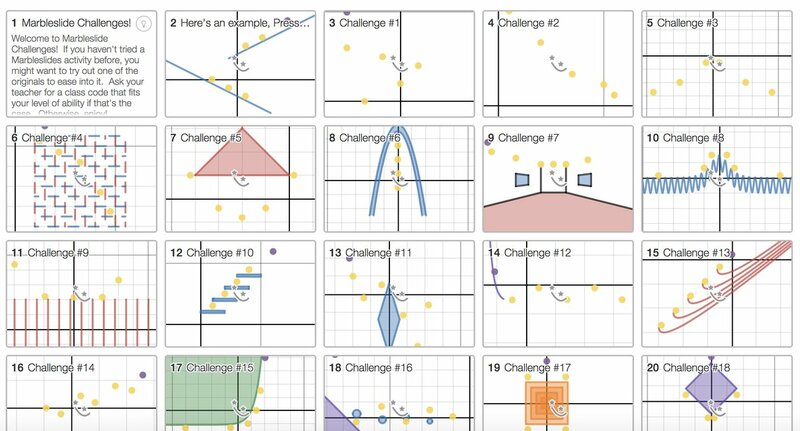 They typically like Desmos marble slides and if that is the case then you should challenge them with @sweenwsween's Marble Slides Challenge set. 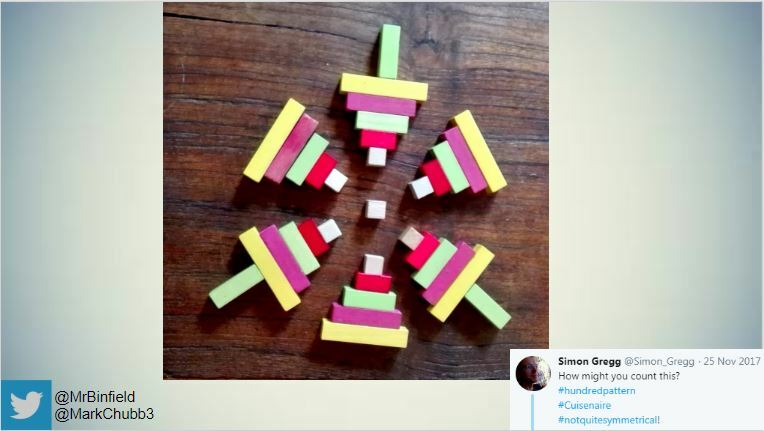 He has taken these to the next level and your kids will find themselves stuck in the struggle of trying to solve these 36 unique puzzles. I have mentioned these before but it is worth bringing them up again. Thanks to @MrOrrGeek for reminding me this out. One last one from NCTM a couple of weeks ago. Here is @ddMeyer's talk on Full Stack Lessons. Always worth a watch. [NCTM 2018] Why Good Activities Go Bad from Dan Meyer on Vimeo.